In the second half of the autumn term the English focus in Year 2 was recounts. We explored newspaper articles and wrote, as eyewitnesses, about how the Great Fire of London started. We stepped into the shoes of Samuel Pepys and wrote a diary entry about our day. Now we have written an article about our Christmas Performance “The Inn-spectors”. 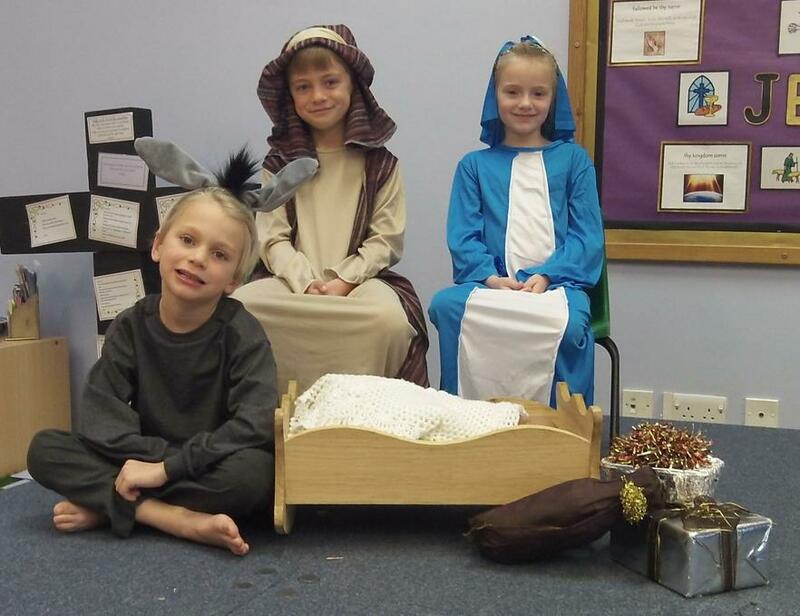 On Thursday and Friday, the 13th and 14th of December 2018, Year 2 performed our Christmas play to family and friends. It was called ‘The Inn-spectors’. We had practised for weeks and were very excited. The story is that the Inn-spectors were inspecting the inns of Bethlehem and were shocked to discover that at one inn there were guests staying in the stable, who had a baby! However, once they found out how special the baby Jesus was they were very happy. First we put on our amazing costumes. We had travellers and soldiers as well as the six Inn-spectors and a flock of noisy sheep and a singing donkey! We walked into the hall and got into our positions. The stage was big!! It was like a theatre. We proudly spoke our words and tried to use our big voices. Our singing was amazing! Everyone was smiling and clapping.